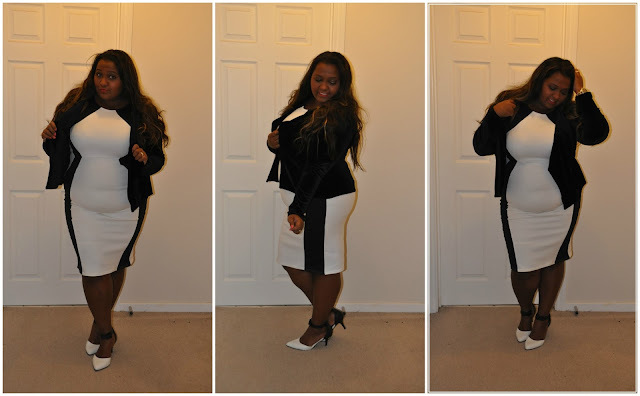 I'd always want to see whether the "illusion" was as impressive in the flesh so when I spotted this dress in Boohoo's Plus range, I grabbed it determined to see what all the fuss was about. Illusion dresses are meant to create the impression of an hourglass figure, using contrasting colour panelling. 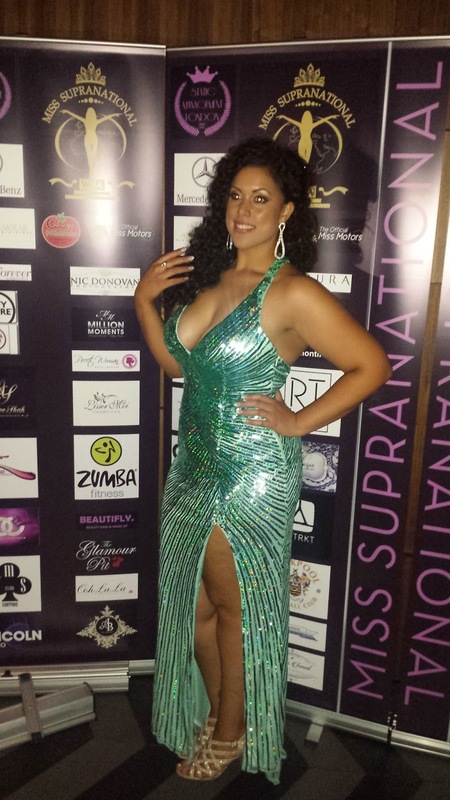 I wore this to the Miss Supranational, UK heats, where I was supporting my sister queen, Emily who was competing. She looked sensational and I'm so proud of her. The dress is a fitted bodycon style with a semi halter neckline. This dress calls for a strapless bra in my opinion. You could totally rock it with a strapped bra but the straps would be clearly visible. It falls just below the knee on my 5ft 4 frame. I'm wearing a size 18 in this dress. I personally feel that Boohoo sizes are generous. I am between and 18/20 and this dress fits me comfortably. It's designed to be a snug fit. It's made primarily of polyester but has 5% elastane too so it has a bit of stretch to it. The main colour of the dress is white, but there is black panelling on the front of the dress down each side to create and hourglass shape illusion. The back of the dress is entirely white. It has a small split in the back and a fully concealed zip. It's currently selling at £22.00 which is a bargain in my opinion. It is available from a UK size 16 to a UK 24. Overall Summary: I love the concept of an illusion dress, but I'm not quite sure Boohoo have got it entirely right with this one. The dress is gorgeous, but not a full illusion and that defies the object in my opinion. Potential improvements: I think if the primary colour of the dress was black with just a front white panel, I think the illusion would be better. So the back would need to be in black. Otherwise I like the cut and style of the dress. Would I recommend this? Yes I would recommend, the value for money is good and it's overall a lovely dress, just not much of an illusion! I think this is stunning on you Kat! The colours are so bold and I think the illusion really emphasises those hour glass curves that you already have!